CommBank’s 21 Day Change Challenge helps businesses face change and innovate day to day operations to meet challenges and take advantage of opportunities. Change is constant for all Australian businesses but how do they adapt to disruptive forces entering our markets? Overseas competitors continue to build a local presence, and in an increasingly digital world consumers are developing new expectations around customer service. With this pace of change, some may be concerned about how to future-proof their business and remain relevant for their customers beyond a five year horizon. Here are some ways to help answer questions such as whether to enter new markets, what customer needs aren’t being met, or if a business is positioned to compete against new or established players. In future-proofing a business, innovation is high on the agenda and a powerful vehicle for change. Yet, due to time and other pressures, many business owners don’t know how to get started or feel they’re too busy to truly innovate. 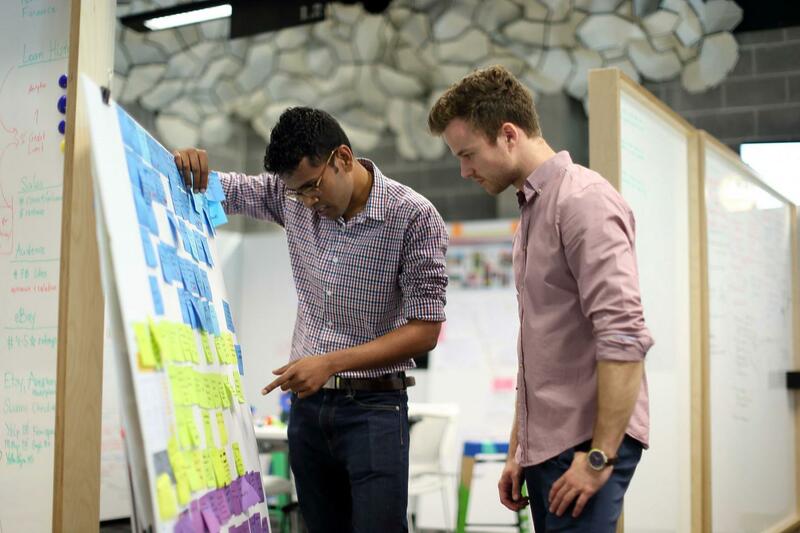 CommBank’s 21 Day Change Challenge is a practical approach to innovating for change. The challenge guides businesses of all sizes through the design thinking process to better understand their customers, take a good look at their business and goals, generate new ideas, and turn those insights into action. This challenge is a condensed version of the process our business customers go through in our Innovation Labs, and a great way to get started, and a couple of businesses will win time in one of our labs plus $10,000 to take their idea to the next level. Week 1 – Define business goal: businesses start by setting a business goal that inspires their team and sets out what they want for the future. Week 2 – Understand customers: next up, the focus is on customers. Identify what they want and focus on gaining key insights. Week 3 – Generate ideas: Businesses need to get creative and think big with ideas. Then they prioritise the opportunities to pave the way for success. Here are examples of how it has worked for businesses that have been through the process. Ability Centre is a Perth-based not-for-profit supporting the needs of people with disability across Western Australia, and has taken full advantage of CBA’s expertise in innovation. In a recent “Think Tank” session in one of CBA’s Innovation Labs, Ability Centre explored their customer’s challenges in working with disability service providers. They came to understand that their customers wanted easier communication and a deeper connection with their care team. Customers wanted to feel like service providers understood them and were partners in their journey. By first understanding their customer’s needs, then brainstorming possibilities and prototyping and testing ideas, they came up with solutions that would help families share important information with their care team. As a result Ability Centre is exploring new technologies that will help their customers to capture and share important moments throughout the day that are hard to explain. This will ensure that each customer feels that the organisation understands them and is there to support them throughout their life. In another “Think Tank” session, online and wholesale children’s clothing retailer Korango took a deep-dive into moving their business forward. This helped business owners John and David De La Fontaine define their business goals and, through interviews arranged by the Lab with Korango customers, enabled them to uncover new ideas to enhance their business. They came to understand that their customers wanted much more than just clothing, they wanted a place to come together, interact and talk about their kids. This goes to the heart of what their customers want from their business. David and John took that principle and applied it to their business strategy. They’ve now improved their social media to help create a stronger sense of community within their customer base and are working towards launching an app in the near-future to take this even further. Innovation is an elusive term and many business leaders are still looking to understand how they can apply it to their businesses. It doesn’t need to start big, and all businesses should consider the future to ensure their business remains competitive and relevant to their customers. The innovation process should be used time and again to inspire new ideas and help businesses embrace change and stay ahead of the game.